Super soft Classic Plus, two-sided slipcover designed to fit the Original Boppy Pillow and Positioner (sold separately). The fashionable two-sided slipcover featuring clean, white piping keeps the Boppy Pillow fresh. Zips on and off easily for machine washing. 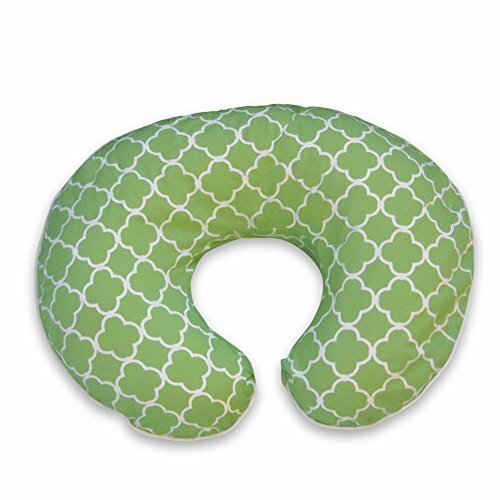 The Original Boppy Pillow is a versatile nursing pillow that lifts baby to a more ergonomic position for comfortable breastfeeding and bottle feeding, giving relief to your arms and back. Bond with your new baby by using the Boppy Nursing Pillow while you're breastfeeding or bottle feeding. In addition to breastfeeding and bottle feeding, the Boppy Pillow transitions to the perfect support pillow for different stages of development including propping, tummy time and learning to sit. The Boppy Pillow supports baby as she grows and develops and this multi-use pillow can be used for babies up to one year old. The award-winning Boppy pillow has brought comfort and support to millions of moms make sure yours is always fresh and clean by having a few Boppy slipcovers on hand. If you have any questions about this product by Boppy, contact us by completing and submitting the form below. If you are looking for a specif part number, please include it with your message.